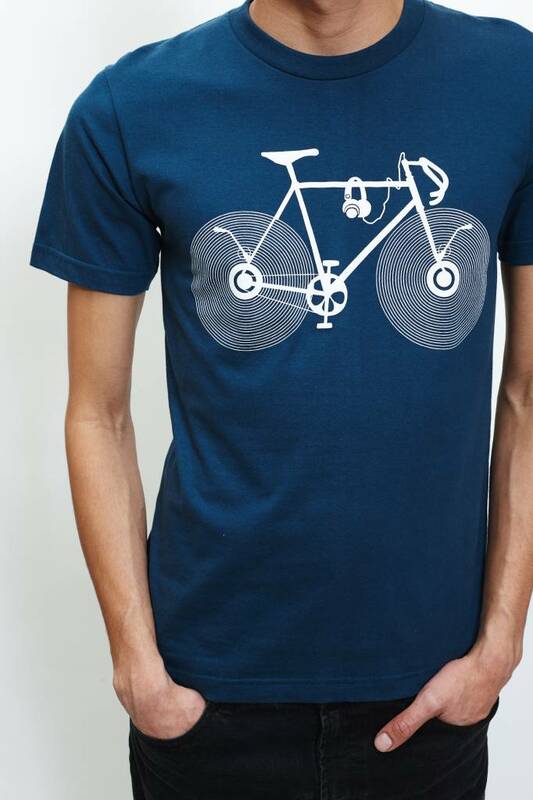 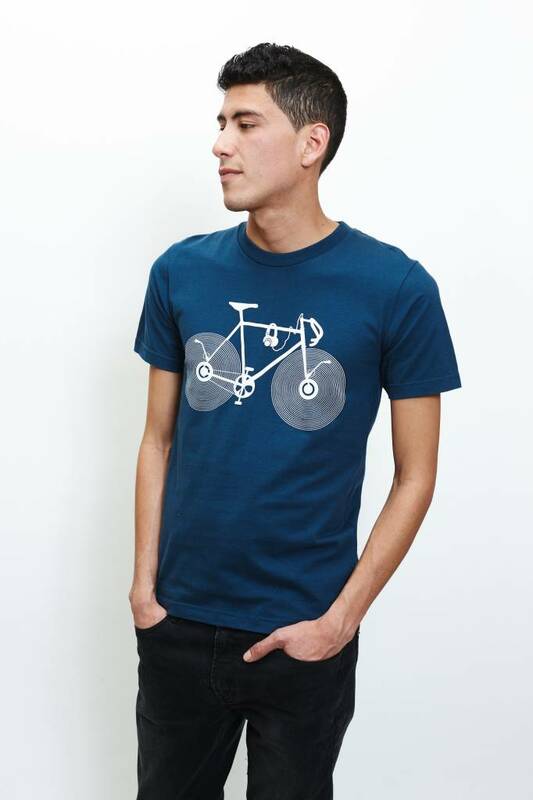 It's music bike time in this steely blue 100% cotton unisex tee. 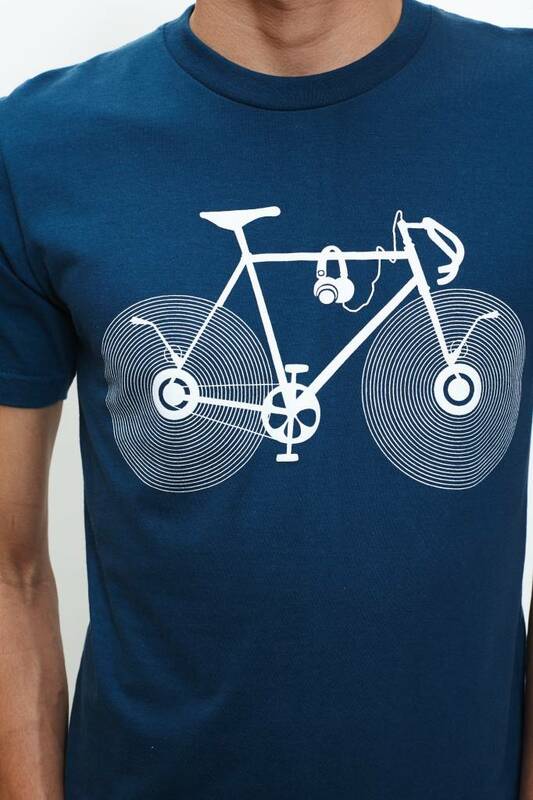 If your dream bike has record wheels, turn table spokes and built in headphones then this unisex tee is for you! 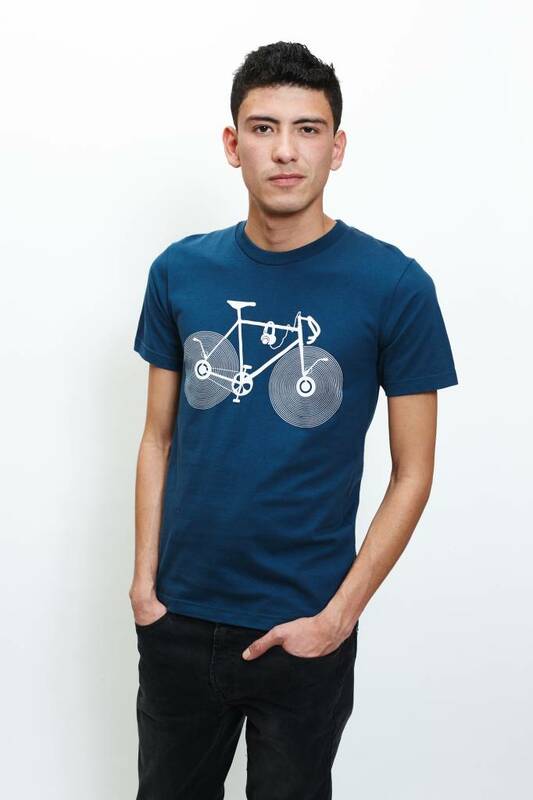 This fantasy bike is printed white on blue in 100% super soft cotton.